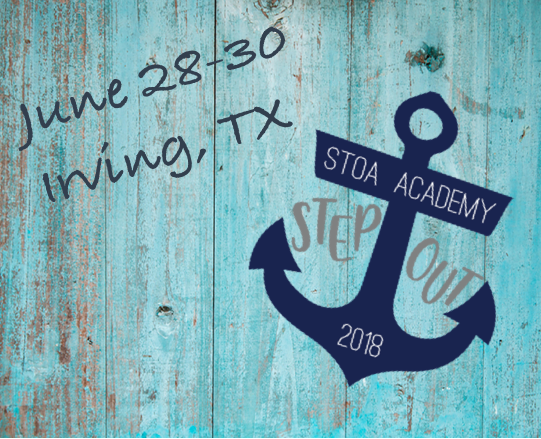 We are so excited to offer our Stoa parent and coaching community a Speech and Debate Conference that will provide valuable tools and encouragement to “Step Out” as a leader. One of the added benefits of an in-person conference is the ability to connect, creating networking opportunities for all those who attend by focusing on Stoa's Purpose, Mission and Culture. Our leaders will be encouraged to “Step Out” of comfort zones, and BOLDLY encourage their students, effectively Changing the World for Christ! June 28, Thursday night check-in. Get to know the board members, committee members, leaders from across the nation… and connect through games! June 29-30 Coach and Parent Leader courses for TWO FULL DAYS. Courses are being updated, as we are building a schedule that combines great speakers with relevant workshop topics to give attendees a unique interactive experience. See our current Courses here. More on the Stoa Academy Schedule? Click HERE. CLOSES June 14th! So hurry! Accommodations are up to you! Please click on the link here to see our Stoa Academy hotel deal!